We want to take a moment to say THANK YOU to all of the people who are using the Vidello platform. Because of you, we’ve been able to expand our services and offer new features that make it easier than ever to create quality, professional videos. Our goal is to improve the services that are available for our customers. At the same time, we are finding new ways to up-level the video publishing industry. We’ve had an excellent response to the tools that are offered. This year, we’ve logged over 1 390 000 views on videos that were created and uploaded using the Vidello platform. Additionally, 31 600 videos have been uploaded, with streaming happening all over the world: British Virgin Islands, Gibraltar, Gambia, Suriname and 227 other countries. Video SEO: The best way to maximize video results is to ensure that the content is showing up in the search engines. We’ve integrated the most important features so that you can easily boost the SEO of the videos that are published and the pages where the videos are embedded. If you aren’t using these Video SEO features, then right now is a great time to learn more so that you can enjoy the benefits of organic traffic. Gif Creator: Gifs are becoming more popular in digital conversations, which is why you need to incorporate these features into your email broadcasts. Our Gif Creator is the perfect solution to increase your email click-through rates with engaging video gifs. 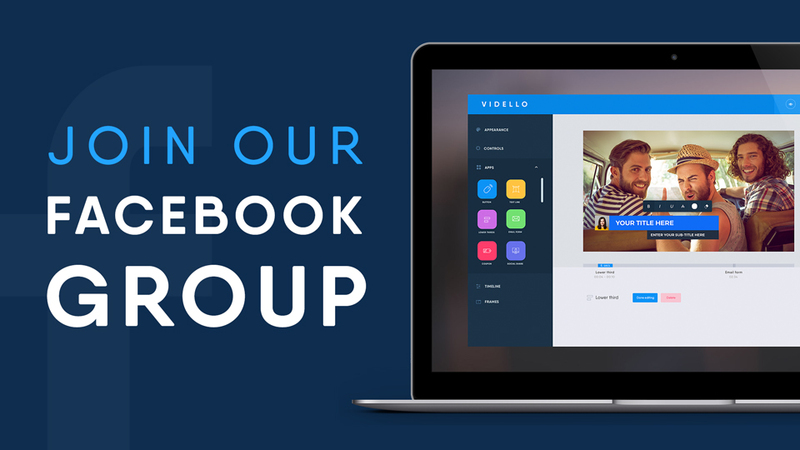 It is easy to design an animated gif from any video that you upload on Vidello. Simply add it to your email with a clickable link to bring people to your video landing page. Dynamic Variables: Dynamic video content is the right choice to help you avoid problems with subscriber engagement. Vidello offers variables that can be customized, such as a dynamic greeting, integrated reviews, and language translation. Check out our guide to see the eight Dynamic Variables that can be used in your video creation. Sticky on Scroll: This new feature keeps the video playing for your viewers, even if the person continues scrolling down the page. 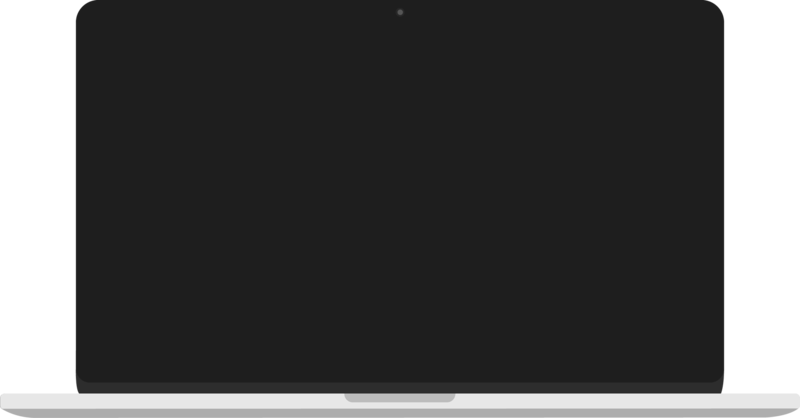 Sticky on Scroll can be enabled in the controls section of your video on Vidello. A sticky video box will pop up on the top or bottom of the website page, ensuring that the content is shared while the person browses other information. Pop Up Embed: Increase video views by incorporating your best video content in pop-up boxes. This new feature ensures the visibility of your video when people visit your website. Domain Protection: Do you need a way to prevent your videos from being embedded on other websites? Enable Domain Protection to maintain the security of your content. This feature gives you the control to ensure that the video is only played on the domains that you select. These features only highlight a few of the updates that have been integrated this year. There are many other options that our customers have enjoyed. Visit our updates page to see everything that we’ve done to improve the Vidello system. Not only are we improving our video platform, but we also unveiled a new website and logo this year. The updated look is an effort to boost the Vidello brand, showing that we are the leading provider of custom video solutions online. At the same time, our website design was improved to make it easier for customers to navigate the site and find information that is needed. We are always focusing on user experience, offering simple solutions when you are working on your video content. 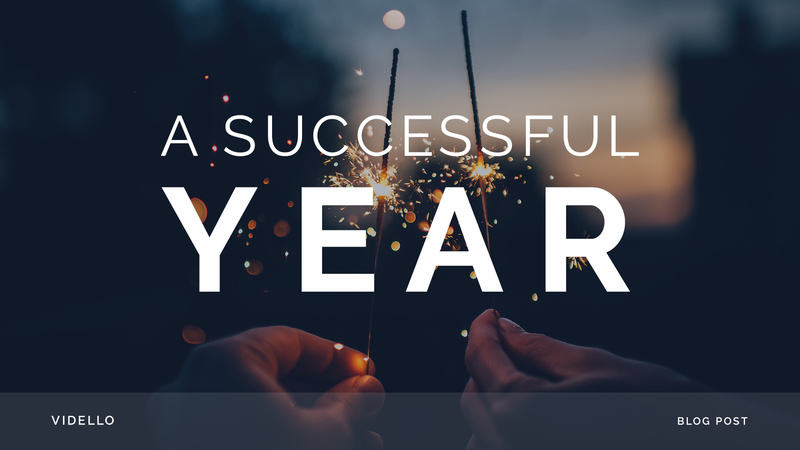 As we celebrate a successful first year, we look forward to the great things that are coming in the second year. We have more surprises in store, helping you unleash the power of video for your online marketing efforts. We want to help you boost conversions and connect with your customers. The live action features in these integrated videos will change the way you communicate with your audience. We will continue offering new features to show that we are more than your average video hosting company. The combination of video hosting with important marketing elements will transform the results that are possible online. Cheers to a great year… we look forward to sharing an exciting future together with you! Does the sticky video feature work on a Word Press site? You mentioned only Click Funnels and Igloo.